The eDab lightweight travel case keeps 2 pens and accessories safe in just half the size of a standard pen storage case. This means you can effectively store your vaporizer and comfortably put the travel back in travel case. This pill shaped carrying case features thick shock absorbing walls, a strong elastic band to keep up to 2 pens safely secure, and durable netting to hold a charger, e-juice, storage containers, or whatever else you want to keep close to your pens. eDab's Travel case measures about 6.5" long, and is roughly 2 " wide and 1" thick when closed, so it can fit comfortably in your pocket or purse when on the move. The outside surface is soft to the touch and even features the official eDab logo and name debossed in the lid, adding an elegant touch to this one-of-a-kind case. 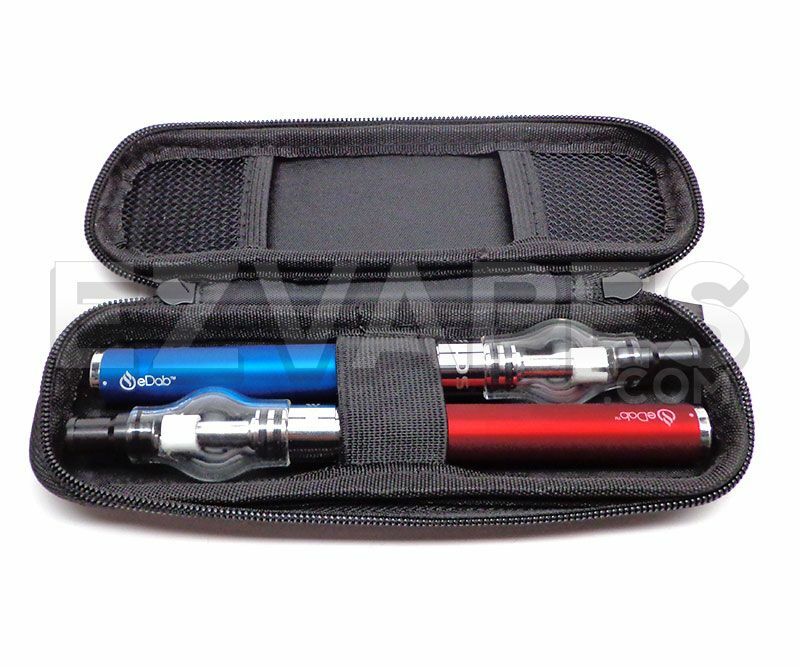 Keep your vape pen and all of its accessories organized and safe in this durable, yet lightweight travel case from eDab.